A piece of fine print: runDisney did away with deferrals a couple of years ago and there are no refunds...when you sign up, you are making a commitment! 2) Start Saving Now -These races are not cheap. While a local half marathon can run from 50-100 dollars, runDisney half marathons keep inching closer to the 200 dollar mark. The Star Wars Dark Side Marathon is $185. If you want to participate in one of their famous challenges (2 or more races on back-to-back days), that will run up upwards of $330. What do you get for that money? 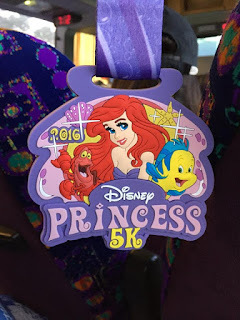 A pretty sweet finisher's medal, a tech shirt (except for 5Ks), a virtual goody bag, tons of on-course entertainment and characters, and the ability to run through the Disney parks. The 5Ks used to get medallions like this one, but they have also switched over to medals. 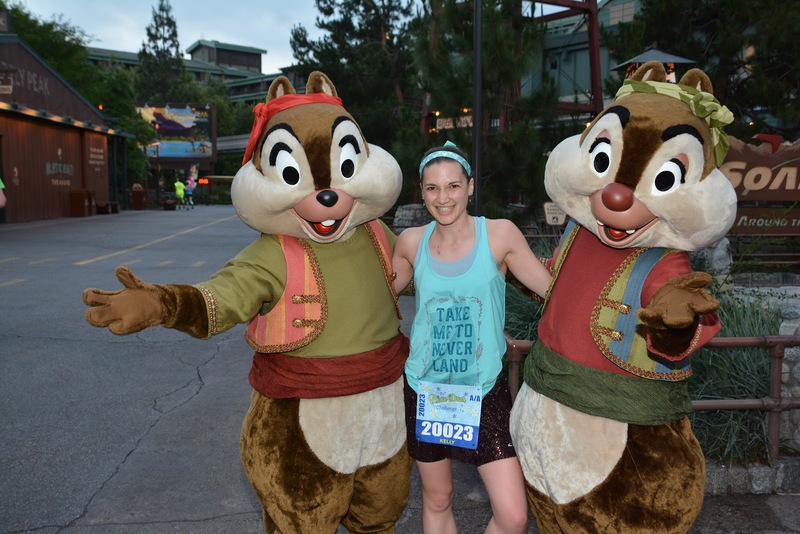 3) Not All Races are Created Equal -Each runDisney weekend has a variety of races and themes. There are Star Wars races on each coast, the Princess Half Marathon weekend at Walt Disney World, the Tinkerbell Half Marathon weekend at Disneyland resort, the Superheroes Half Marathon weekend at Disneyland, the Disneyland Half Marathon weekend, and the Walt Disney World marathon weekend. Most of these weekends feature events at a variety of distances: kids races, 5K, 10k, Half Marathon, & Challenge (the 10K & the Half Marathon). 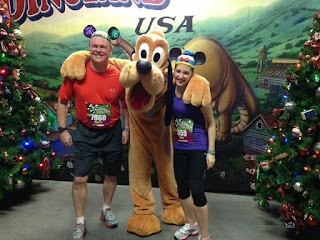 Walt Disney World marathon weekend has kids races, 5K, 10K, Half Marathon, Marathon, the Goofy Challenge (Half & Full marathons) and the Dopey Challenge (5K, 10K, Half Marathon, and Full Marathon). Choose what distance, theme, location, and time of year works for you. 4) Run a Race to Submit a Proof of Time -runDisney races are HUGE! In order to keep all the runners from trampling each other the second the fireworks go off, runDisney uses a corral system. Basically, the faster runners are in the earlier corrals and the slower runners & walkers are in the later corrals. It's important to be with the right pace group for safety reasons. For a half marathon runners can submit times from a 10K-Marathon. These need to be from timed races and need to be verified by submitting a race link. There is a deadline to submit your proof of time, so make sure you are paying attention to the runDisney website for all the details. 4) Don't be Afraid to Dress Up -Going into my first runDisney race (the 2013 Wine and Dine Half Marathon), I had no idea what to expect. I heard that people sometimes dressed up for the races, but I had no idea what that meant. My dad and I ran this race together and decided to go with the standard Mickey ears, figuring if they were too much, we could always take them off. We arrived at the corrals and immediately saw a "pack of Pinocchios" probably 7 or so people dressed as Pinocchio, complete with hats, suspenders, and lederhosen. At this point, we figured our ears were probably okay. 5) I break for characters - There are usually a ton of characters (some hard or impossible to find in the parks) at runDisney events. It's up to you whether you want to stop for pictures. Know that there are lines and you are required to keep a 16 minute mile pace...don't wait so long that you get swept. 6) Celebrate your Accomplishment - Completing any of the runDisney events is an accomplishment to be proud of. Whether is enjoying a Dole Whip in the Tiki room, a special meal at O'Hana or watching Fantasmic! Make sure to wear your medal in the parks and celebrate! Interested? Want to learn more? E-mail me for a free, no obligation quote for your next Disney vacation! I'll even throw in a Disney packing list so you don't forget to bring anything important!